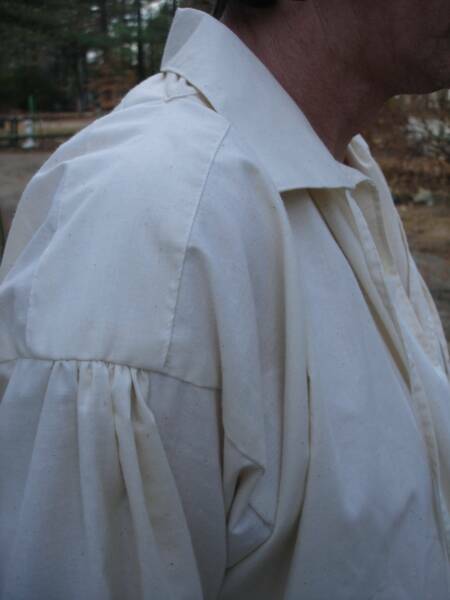 Mens' 100% cotton muslin shirt. This is an 1800's design, but it's pretty basic and usable for a lot of time periods; It's great for powwow regalia because the cotton makes it breathable in the hot summer months, and it looks great with belts, armbands, etc. Single-button cuff, ties at neck opening. $40, including shipping.